SQL is an acronym for Structured Query Language and, while not entirely accurate, most people pronounce it “sequel”. 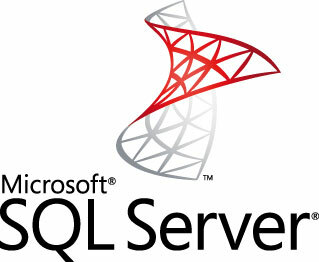 It really should be pronounced S-Q-L. SQL Server is a relational database management software from Microsoft. The primary function of a database is to store and retrieve data as requested by some other application. There are several different editions available for all kinds of applications that may be running on the same computer, across the corporate network, or serving data to thousands of simultaneous users through the Internet. Each and every application that is connected to SQL Server must have a database and some other basic components to function properly. Our development team at G&C Technical Services has over 30 years of combined experience and hundreds of thousands of lines of SQL scripting code under our collective belts. What can SQL Server do for me? Once you have developed a SQL Server database solution and it has been implemented into a production environment now the real work begins of ensuring the database provides optimal performance as it grows with your application. SQL Server database administration is an incredibly important part of any application’s life-cycle. While regular database and log file backups are critical, there are many aspects that need to be maintained. Our database experts can work with you and help come up with a maintenance plan that you can execute or we can perform the maintenance for you. So, as you can see, a healthy SQL Server requires ongoing care and maintenance. We’d be happy to sit down with you and discuss options, a game plan, and how we can help you. We’ve been working with SQL Server since version 6.0 in the mid nineties. So, we have all kinds of background and experience to help support your SQL Server databases. Even though Microsoft will end support for SQL Server 2005 in April 2016, we will support all versions installed and running on your computer systems. As a footnote, we also work with Microsoft Access and MySQL.